You can never go wrong with muted glamour! 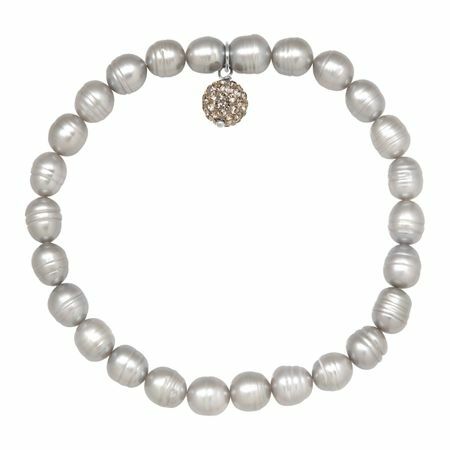 Grey ringed freshwater pearls, measuring 6-7 mm, are lined along this stretch bracelet and accented by a sterling silver bead featuring pavé-set grey crystals. Piece measures 7 1/2 by 1/4 inches.